Lots to check out as Baz Ashmawy investigates gambling in All Bets Are Off, while Say Yes to the Dress, Can't Cope, Won't Cope and Westworld all return. 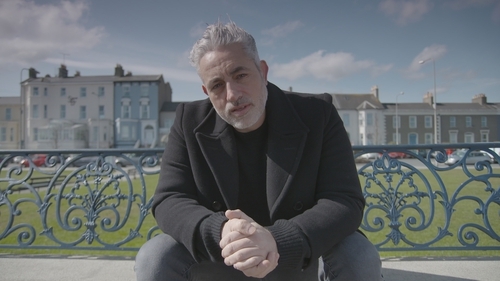 With the help of some recovering gamblers and other experts on the subject, Baz Ashmawy takes a look at Ireland’s relationship with gambling. 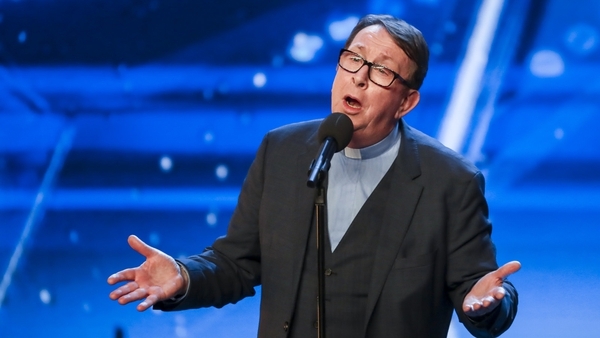 "It's kind of me just putting the spotlight on Ireland's relationship with gambling," he says. "I think out of all the addictions out there, it's the one that probably gets the least attention. "It's very obvious when someone suffers from an addiction like drugs or alcohol or anything like that – with gambling it can be hidden, and people suffer away silently." International wedding planner, Peter Kelly aka Franc is back with a second run of the show where he tries to match the gal with the gown. In the first episode he meets brides-to-be from Limerick and Galway and a Mexican now living in Ireland. First to meet bridal consultant Denise O’Riordian is 33-year-old Limerick lady Sonya Hassett. Joining Sonya is her mum, sister, best friend and her nine-year-old son Michael. Sonya can be both decisive and indecisive when it comes to shopping, so her sister Zoe and best friend Lorraine have their fingers and toes crossed that she says yes today. As the girls return for a second season, Aisling (Seána Kerslake) and Danielle (Nika McGuigan) are struggling with the new normality of being apart. Aisling's after having her soul sucked out of her by small town Mallow for an entire summer. She now has a job in a local financial establishment, but she typically throws in the towel at the first sign of trouble. Meanwhile, in Vancouver Danielle is struggling despite having her wish for more art and less Aisling come true. There is no-one at her side to roll her eyes at when the super politically correct art school culture in Vancouver starts grating on her. In this new series, Morland Sanders and Lucy Hedges road test up-and-coming travel destinations to discover the holidays available on everyday budgets. In this first episode, Lucy visits Israel to discover the desert and float in the Dead Sea, while Morland heads to Costa Rica to explore pristine Pacific beaches and zip-line through the cloud forest. As a new day dawns in Melbourne, Jack finds himself at the beginning of a fresh case. Following an unexpected summons from Travis Dilthey, he's engaged to track down Dilthey's missing brother. As the police drama comes to close for another season, Sean tries to play hero for a certain damsel in distress, but in doing so puts both his career and safety in jeopardy. Little Barry has a dangerous proposition for Keith. When the youngest Kiely turns him down, Barry turns to Bridget to ask her to try and convince her son. Meanwhile, the net starts to close in when it becomes clear that Eugene sustained substantial injuries prior to being hit by the truck. It's the grand final of the long-running quiz for college students, when the winning team will be presented with the University Challenge trophy. Jeremy Paxman asks the questions. Chaos takes control as the much-anticipated second season of the slick and entertaining US drama begins on Sky Atlantic. Things have taken an unexpected turn at Westworld, and now the robotic inmates are running the asylum and the humans are no longer in control. Ed Harris, Evan Rachel Wood and Thandie Newton return in JJ Abrams’ cerebral, blood-soaked thriller in which artificial intelligence may have just become the one thing more dangerous than the human mind.